I believe in the saying “the more the merrier”. I also like getting gifts that are usable, not things that are just for display or something that you would put on the side and forget. I’m very easy when it comes to gifts, get me some make up, anything cute and beauty related, a box of chocolates or macarons and I’m happy. Not everybody likes make up though, but everybody must love taking care of their skin. Who wouldn’t want to have a clean, smooth and youthful looking skin? I think these face masks are perfect addition to every skincare routine! They are full of high quality natural oils. Their flavors/scent sound so amazing that makes me wanna try them all. Also, each face mask come in 6 different formulas, specifically formulated for different skincare needs: Hydrating, Anti-aging, Deep Cleansing, Soothing, Exfoliating, and Revitalizing. Best part is, each mask is only $2.99! They are truly affordable which makes them perfect for stuffing stockings. Their packaging is so cute, I am so impressed. I would seriously love to have a bunch of these in my stocking! What do you beauties think about these nuggets of skincare goodness? They look so fun and addicting! I cannot wait to try them all. 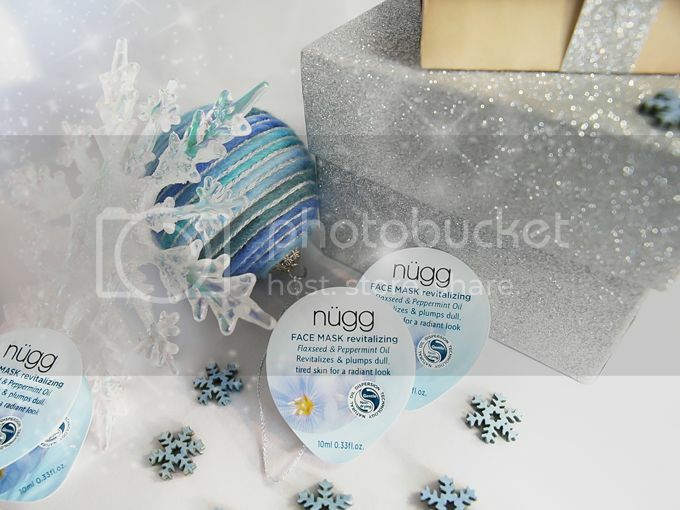 If you’re interested to purchase these face masks, they are available for purchase at www.nuggbeauty.com Don’t forget to follow @nuggbeauty all over social media for new products, updates and giveaways! DISCLOSURE: The products mentioned in this post were sponsored by nugg beauty and BRANDBACKER.